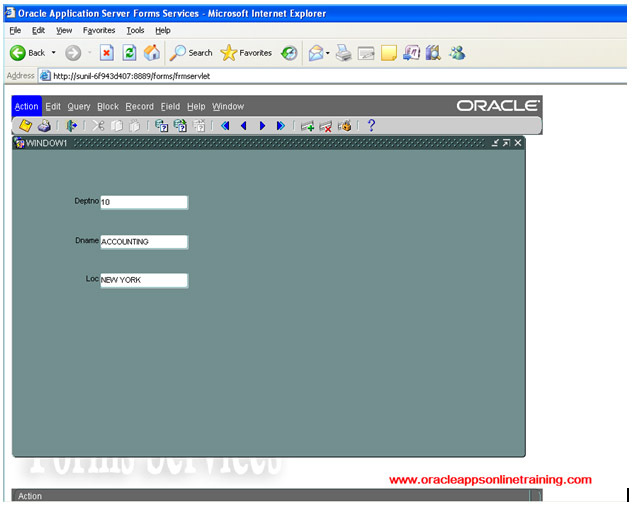 The following example helps to learn creating data block manually. Create dept table in your database. Insert four rows into the table. 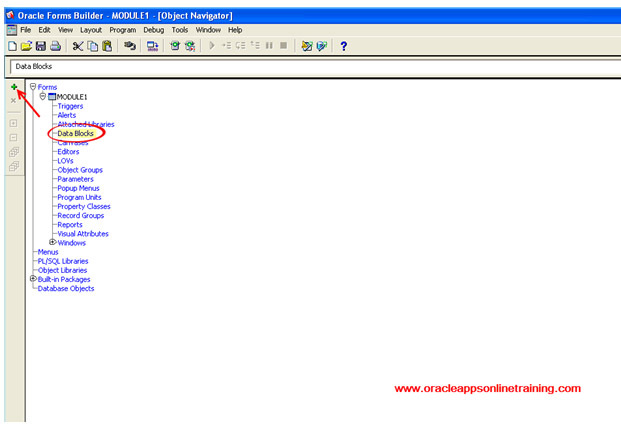 You will be directed to object navigator. Select data blocks click on create button. 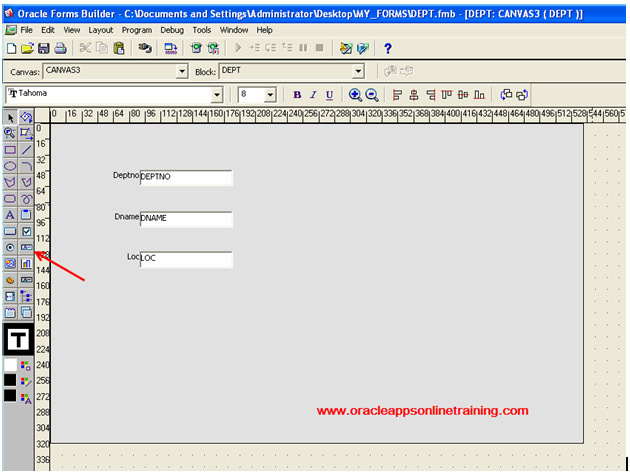 Build new data block manually Ok ( Empty block is created ). Select Canvases Click on create button ( Canvas is created ). Place three text item on the layout.